The smartphones that fall under sub-10,000 category are no slouch anymore. The phones under 10,000 aren't hyped like the most flagship phones, but these are the ones that offer the most bang for the buck. The sub-10K category has some of the most interesting phones in the market that are also very popular. Smartphones like Xiaomi's Redmi Note 7 are capable of putting several mid-range smartphones to shame. 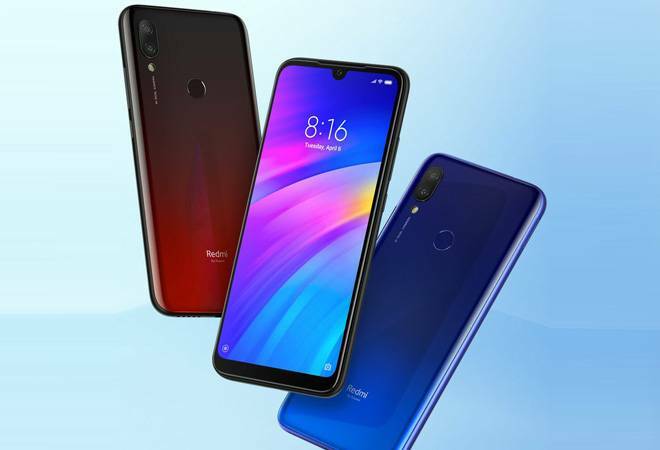 Redmi Note 7 is the newest entry into the club; there are other old timers like Asus ZenFone Max Pro M1, Nokia 5.1 Plus, Realme U1, Realme 3, Xiaomi Redmi 6 Pro etc. Lets take a look at each one of them in detail. Asus Zenfone Max Pro M1: Asus Zenfone Max Pro M1 comes in three variants. The cheapest variant comes with 3 GB RAM and 32 GB internal storage that is priced at Rs 8,499. The second variant with 4 GB RAM and 64 GB storage is priced at Rs 10,499. Nokia 5.1 Plus: The Nokia 5.1 Plus is positioned in the budget segment and is targeted at devices like Xiaomi Redmi 6 Pro, Asus Zenfone Max Pro, Redmi Note 5 and Honor 9N. Nokia 5.1 Plus gets a glass sandwich design. The device is available in a single variant with 3GB RAM and 32GB of storage. The variant is priced at Rs 9,999 and comes in two colours; Gloss Black and Midnight Blue. Realme U1: Realme U1 comes with a waterdrop-shaped notch, dual rear camera setup, and is the first smartphone in the world to sport the Helio P70 SoC. The price of the 3GB RAM/ 32GB storage U1 model in India is Rs 9,999. Realme 3: Realme 3 is powered by Octa core (2.1 GHz, Quad core, Cortex A73 together with a 2 GHz, Quad core, Cortex A53) processor paired with 4 GB of RAM. The phone runs on a 12nm MediaTek Helio P70 SoC. The phone comes with a dewdrop notch similar to the one seen on the Realme 2 Pro phone. Apart from the dewdrop notch, the Realme 3 has a 6.2-inch HD+ display with 1520x720 resolution, 19:9 aspect ratio. The 3GB/32GB variant of Realme 3 is priced at Rs 8,999. Redmi Note 7: Redmi Note 7 comes with a 6.3-inch full-HD+ (1080x2340 pixels) LTPS display with 19.5:9 aspect ratio. The phone is driven by the 2.2GHz Snapdragon 660 octa-core SoC paired with Adreno 512 graphics, and 3GB and 4GB RAM options. It has 32GB and 64GB of onboard storage variants that both support microSD card (up to 256GB). Redmi Note 7 includes 12-megapixel and a 2-megapixel AI camera and there is a 13-megapixel AI selfie camera. The 3GB RAM/32 GB is priced at Rs 9,999.